No matter how much you try to conceal the truth, it will be known one day or the other. It’s foolish to cover up lies because the truth reveals itself in the most honest way. Anger is a lethal weapon. Apart from slaying the enemy, it also slays you. When you’re angry, your words deceive you and they hurt others. Therefore, it’s advisable to remain silent and not speak when something annoys you. 3. "You can search throughout the entire universe for someone who is more deserving of your love and affection than you are yourself, and that person is not to be found anywhere. You, yourself, as much as anybody in the entire universe, deserve your love and affection. We often expect to receive love and affection from others. In that process, we start neglecting ourselves. We try too hard to get attention. However, we forget that loving one's own self comes before loving others. You cannot love selflessly, until and unless you understand yourself. The message here is to think happy thoughts that will keep you happy throughout the day. Being optimistic is better than having negative thoughts. Seeing the glass half-full is a way better perspective than seeing the glass half empty. Indeed an enlightening quote! 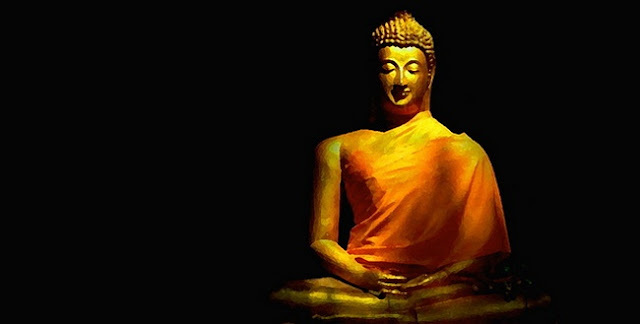 Here, Buddha wants us to learn from our own experiences and not from the reviews of others. What suits one person may not necessarily suit another. Good looks are an asset - however, a good character is an identity. It’s completely wrong to judge someone only by their looks and not by their character. Even if you’re surrounded by filth, but you’re strong enough to resist the bad, you will grow like a lotus in a mud lake. If you’re a student, with hard work, you will outshine all other ordinary students. Buddha teaches us the difference between love and lust. In love, you nurture a relationship. In lust, you only satisfy your physical needs. Starting small is the mantra for finishing big. It doesn’t matter if your start is a small attempt. If you keep at it steadily, you will achieve what you want to one day. Life is one big journey and you’re a traveler. It’s better to live and travel well, than thinking about the future and losing your peace of mind. Living the fullest in the present is the best way to enjoy life, rather than living in the past or the future.